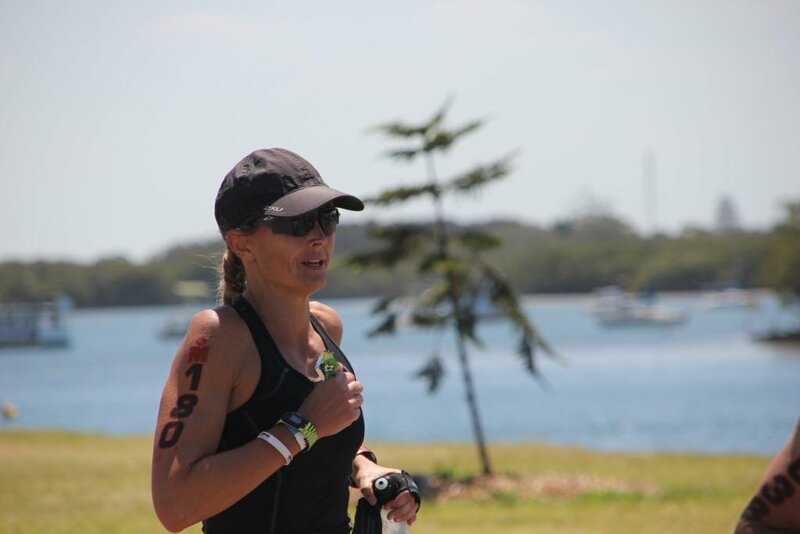 Megan has just completed her 1st 70.3 in an excellent time of 5:48 at Port Macquarie. Congratulations on a hard-earned and well-deserved result! Thank you for taking the time to share your experience with us. 1. 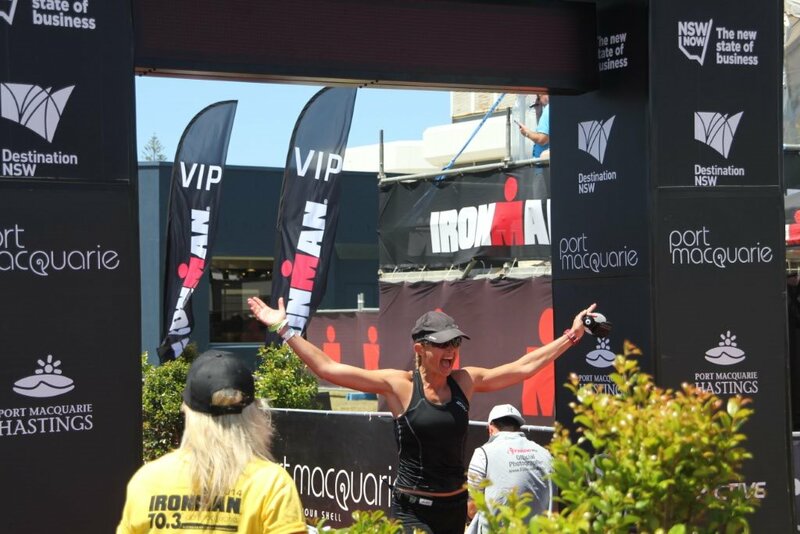 How did you feel crossing the line of your 1st Half Ironman with such an impressive result? Pure relief! Not so much because I was hurting, I was just super happy that everything came together so well on the day and I performed to the best of my potential which did the 12 weeks of training justice. 2.Briefly talk us through the race. The day before I was feeling very nervous…the anticipation is always the hardest. As the day progressed I had major tightness in my ITB which was putting a lot of strain on my knee so I spent an hour at a friend’s place on the roller trying to ease the tension. On race day I woke early after a restless night. I felt strangely calm where normally I would be very nervous. I kept telling myself that I had done all the hard work and today was my chance to put it all into action. I was excited just to get going and looking forward to testing myself. My ITB issued had miraculously disappeared overnight so I was feeling good. The swim start was very calm. For the first time ever I managed to find feet straight off and felt like I was flying in my first open water wetsuit swim. I glanced at my watch as I ran into T1 and couldn't believe my time – very happy to be off to an awesome start. It took a while to warm up on the bike as the course heads straight into hills and it was hard to get the legs moving when they were still feeling numb from the icy water. Conflicting advice on how to handle the course was going through my head but Shem’s advice eventually won out and I settled somewhere between 80% & hard and felt comfortable that I could maintain the pace for the second lap. Indeed, I felt even stronger on the second loop. 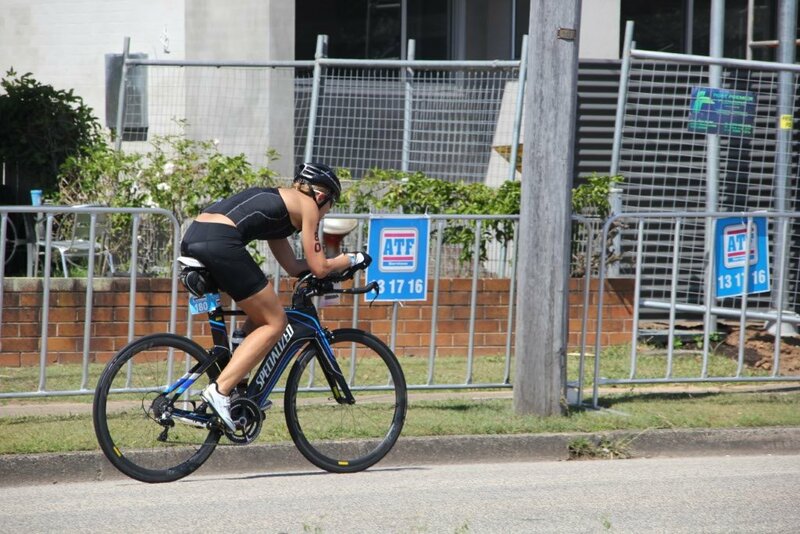 I was very excited to enter T2 and have the bike leg behind me and felt great heading into the run. I had in my mind that I wanted to run 5min30s kilometres so was amazed that I was blitzing this and feeling so good. Turns out my watch wasn’t calibrated accurately and I was averaging 5mins 40s. At the 15k mark I knew it was time to dig deeper and was wondering how much it was supposed to hurt. My quads were starting to burn and we were running into the wind by this stage and facing one last climb so I just didn't trust in myself to push too much harder, especially when I thought I was running so well anyway. At about the 19k mark I had a surge of courage, grabbed a cup of cola and started sprinting towards the chute. I couldn't believe it was almost over. I felt really strong for the last 2kms and at this stage realized I had plenty left in the tank – or was it just adrenaline that the race was over? 3, How did your training prepare you to stay strong mentally throughout the race? I remained mentally strong throughout the race as I knew I had done the hard yards in my training and was more than capable of doing the distances. I knew I could comfortably swim 1.9k, ride 90k and run 21k so it was just a matter of pulling it all together on the day. I broke the race down into smaller components, I didn't think about the bike until I had finished the swim, I broke the ride down into hills & highway and approached it loop by loop, and then just settled into the run feeling great that I had made it that far! My toughest challenge was coming from a Sprint tri background as my race pace has always been all out 100%. In hindsight I didn't hurt like this at all during the 70.3 Did I take it too easy… or is this how I'm supposed to race a 70.3? Either way I really wanted to enjoy the experience and I did. 4. Let's talk about your training. Can you briefly describe your weekly training schedule? How and why that's working for you. I had a 12 week training programme, 3 x 4 week blocks consisting of 12-14 hours per week. Most sessions lasted around 1-1.5 hours except for the weekly long run & bike ride. I loved the variation – between strength, tolerance, speed, endurance and also appreciated that it incorporated my favourite Metasport group sessions. The sessions never felt too long or too challenging and if I felt tired I would just start the session anyway and let the endorphins kick in. I had some fantastic races during the training programme without tapering so the results were evident that the training was paying off which spurred me on to work even harder. At times it felt overwhelming and like it was never going to end but before I knew it I was tapering. I loved having a structured programme to follow, not having to think about what I needed to do each day and knowing that each session had been tailored specifically to my needs. In 12 weeks I only missed 3 sessions when life or injury got in the way. 5. Please share with us the 2 most important 'take home' messages that you have learnt about endurance training that everyone needs to hear. 1. Consistency is key – repeating the same sessions over 4 week periods allowed me the chance to perfect the session and measure my progress week on week. What felt hard in week 1 didn’t feel so hard in week 4 so I knew I was getting stronger. 2. Gauge your effort by how your body feels rather than by pace/power output. I won’t rely on my watch next time! Communication is very important but you only get out of it what you put into it… If I had any questions or concerns I wouldn't hesitate to address them with Shem and his advice was invaluable. It's often hard to get face time with Shem at group training sessions so I found email to be far easier and then I always had his advice in writing to refer back to. 7. What are the benefits of having a coach? What are the characteristics for a good coach to look out for? The benefits include a structured programme tailored to your specific requirements and availability, the sense of accountability at the weekly check-in and having someone who takes an interest in you personally and can adapt your training schedule to your life situation. A good coach needs to be knowledgeable, approachable, responsive, and someone who doesn’t just talk the talk but walks the walk alongside you. 8. Any life lessons have you learnt on this journey so far? Anything is possible if you set your mind to achieving it and we are all capable of so much more than we think we are. 9. Think you can go faster? 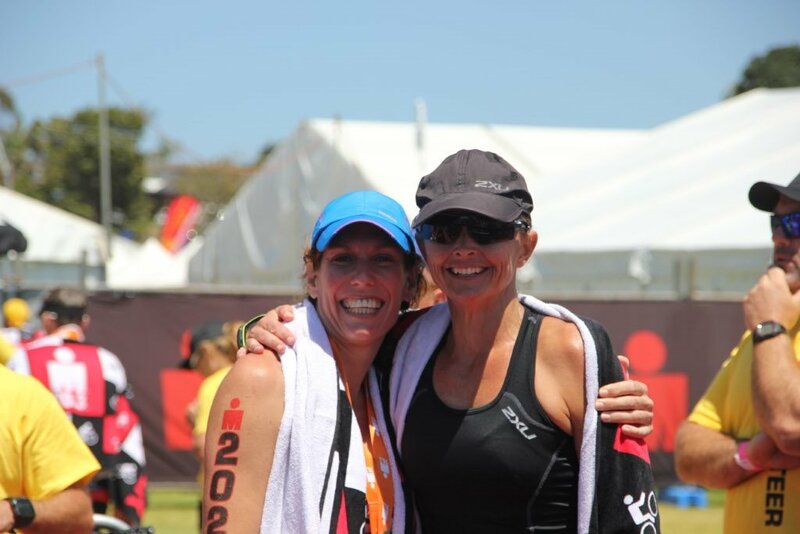 When we 1st started working together we identified 2 key areas that need work to successfully make the transition from her Sprint Triathlon background to the Half Ironman distance; Bike Strength and Run efficiency. Having coached her at the swim and track squad sessions, I knew that she was a committed, compliant and driven athlete so I was glad that we could spend our energy simply focused on the Art of Tri. We spent the 1st block of her training developing running strength and dynamics for a more open and loose stride. At the same time Megan busied herself on the bike trainer getting acquainted with cadence and perceived effort level parameters. She got the hang of things quickly and I knew she was on the right track most of the time from her feedback and the questions she was asking. Given the tight 12 week time frame we were working with, we only had a relatively short period of strength work, before focus shifted to building a solid aerobic fitness through tolerance and endurance sets. Thankfully, Megan’s single minded work-ethic paid off and it was a joy to watch her bike and run come together. In the final block leading up to the big day, we also worked on her race day nutrition plan which Megan practiced in her race specific weekend sessions. The attention to detailed paid off and she executed perfectly on the day, resulting in a very solid 1st 70.3 performance @ 5: 48. Going forward, I would like to see Megan rely less on training data and learn to trust the real time feedback that she is getting from her body during training and racing. The more ‘tuned in’ she is, the more confident she will be taking the right risks on race day as she starts to race more with her heart and less with her head!